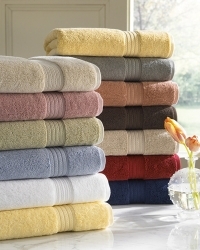 Finely woven from 100% Egyptian cotton to exacting standards, this exquisitely made towel will give you years of wear, while maintaining it's color and shape integrity. We are certain you will love the softness, absorbency and durability. The quality will exceed your expectations!